Recently, one of the leading magazines had reported that Yoga is the fastest growing culture across the globe. It originated in India from the ancient Hindu culture thousands of years ago. Finding its roots in the Veda, the perennial concept of Yoga follows through the most ancient texts such as Upanishads, Srimad Ramayana, Mahabharata (Bhagwat Gita) and Srimad Bhagavatam. Later Sage Patanjali compiled all the essential aspects of Yoga philosophy in the form Yoga aphorisms. The tradition of Hatha Yoga was enriched by texts like Hatha Yoga Pradeepika of Yogi Swatmarama giving the details of the Yoga practices such as Asana, Pranayama, Mudra, Bandha, Kriya and Dhyana. Mere practice of Yogasana and other Hatha Yoga practices without the background of the Yoga Philosophy may make one become body centric. Understanding Yoga in the light of Yogic scriptures like the Upanishads will give the right perspective that we are not the physical body alone but we are the Chaitanya (Atman) or the consciousness aspect deep hidden within in the real sense. Due to ignorance, we assume that we are body and accordingly we proceed whole life. This truth can be realized only in this human birth and that forms the purpose and mission of one’s life. Very rarely some people will immediately be identified with this Chaitanya (Self- Consciousness) by just listening the scriptural insights (sharavana); they need not dany practices to attain this. But mediocre people identify themselves more with non-Self things that they need methods of practice to get detached. 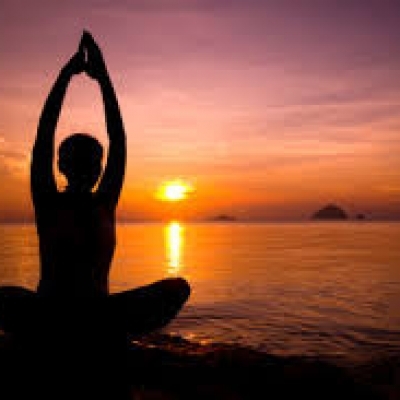 Yoga is therefore a conscious method of going back to our real nature called the Chaitanya or in other words, a conscious process of consciously de-identifying what we are not such as this body, vital force called prana, mind and intellect, so that, finally what we are left with, is the pure Chaitanya or Atman. This inward journey is called as Yoga. In this process there are several additional benefits one can achieve such as freedom from sickness, developing a harmony within and without and lasting happiness, or the feeling of Divinity all around. Any technique or methodology which helps us to go in this path is called as yoga. This is how the seers of the Upanishads, Sage Vasishta in Yoga Vasishta or the friend, philosopher and guide in Bhagavad Gita- Sri Krishna or the subtle scientist Patanjali in his Yoga Sutras described about Yoga. Swatmarama also had mentioned that his book Hatha yoga Pradeepika is also meant for supporting the Yoga sutras whereby indicating that Hatha Yoga is not independent on its own. But the followers of the practices listed in that book started claiming it as an independent path different from Raja Yoga of Pathanjali. The number of practices given there are so many that any teacher while giving practices has to make a formula of few of those practices giving a specific name for it. Thus today we find several yoga paths available at the choice of aspirants. The purpose of any of these paths is only to take to this ultimate goal. There is nothing like one technique is better than the other. One technique may not or does not fit everybody. Therefore one needs to find out which technique suits one; the same technique which suited someone at one time may not suit him the other time. All these have to be understood and then we need to move ahead. Our understanding of Yoga has to go beyond the bodily practices of physical postures even when we consider Raja Yoga. In the chapter on practice called Sadhana Pada, Patanjali had mentioned that Raja Yoga practices involve disciplines such as Yama, Niyama, Asana, Pranayama, Pratyahara, Dharana, Dhyana and Samadhi, which the book calls as ‘Ashtanga Yoga’. This means to say that Raja Yoga practices involve values in life, physical culturing at the gross level to subtle practices like Dhyana which leads to the ultimate consciousness through Samadhi. Apart from this we also have the other streams of Yoga including Karma Yoga – the path of Action in Relaxation, Jnana yoga, the path of Knowledge and Bhakti Yoga –the path of devotion which makes the concept of Yoga to be holistic. The rich culture of Yoga in this part of the world has been preserved and enriched by the practitioners of all these paths of Yoga. Each of these paths can be logically explained to the understanding of intellects – normal to rational, no matter to which ever culture or civilization he or she belongs. Therefore Yoga is a science for the mankind.